March 01, 2017, 11:44 a.m. 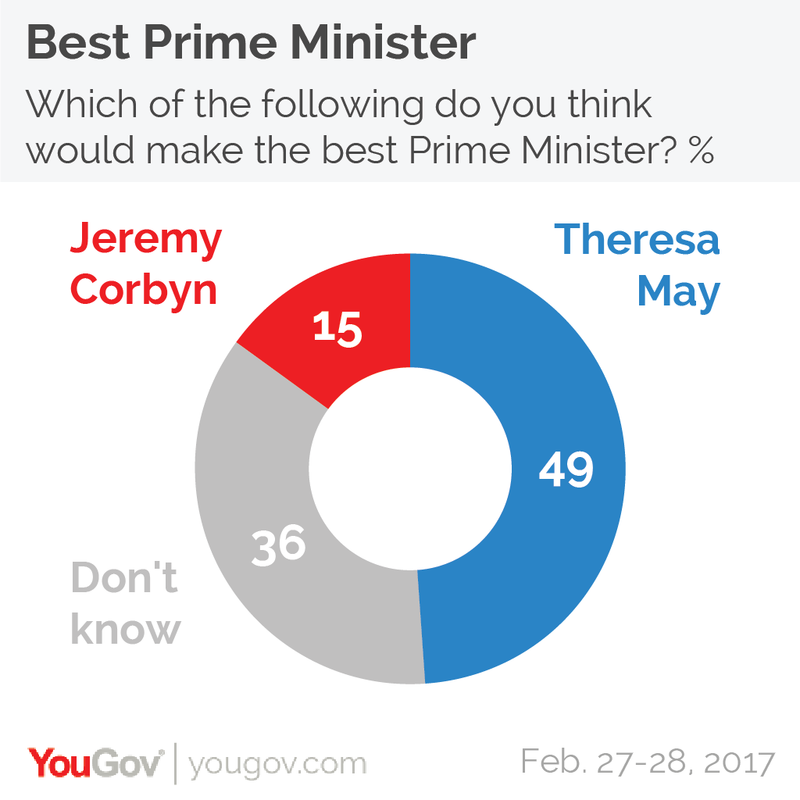 This week&apos;s YouGov/Times voting intention figures - conducted before the Copeland and Stoke by-elections - see the Conservatives on 42% (from 41% last week) and Labour remain on 25%, giving the Tories a 17 point lead. 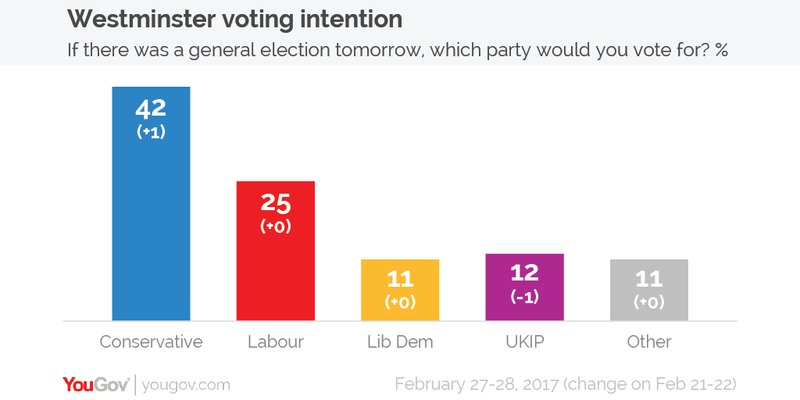 Elsewhere the Liberal Democrats are on 11% (the same as last week), UKIP are on 12% (from 13%), and votes for other parties remain at 11%.